1. First draw the design on to the cloth and then fix it on a frame. The letters are stitched with back-stitch. 2. 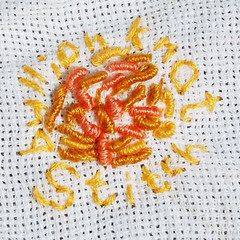 The yellow buds are stitched using bullion stitch. Start as if u r going to stitch straight stitch and pull the needle out of the cloth. Then wrap the thread around the needle. Now pull out the needle and bring the needle back to the starting point. 3. 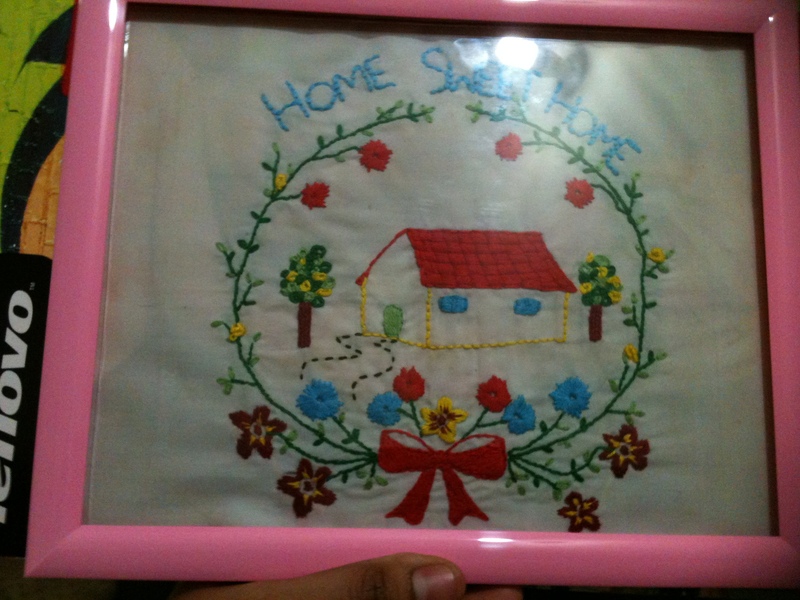 Red and blue flowers are stitched using satin stitch. 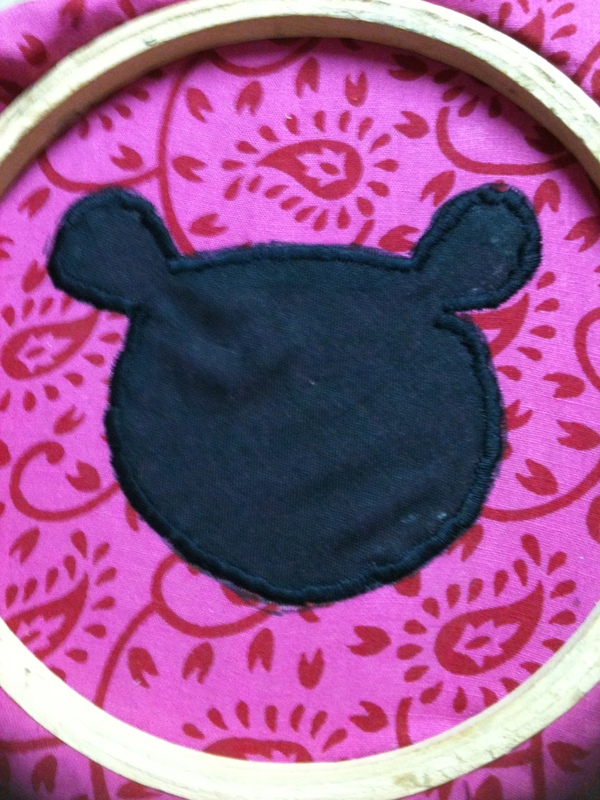 For satin stitch make straight stitches closely together around the shape. 4. loop stitch – start like straight stitch make small loops and fix the loop in position. 5. 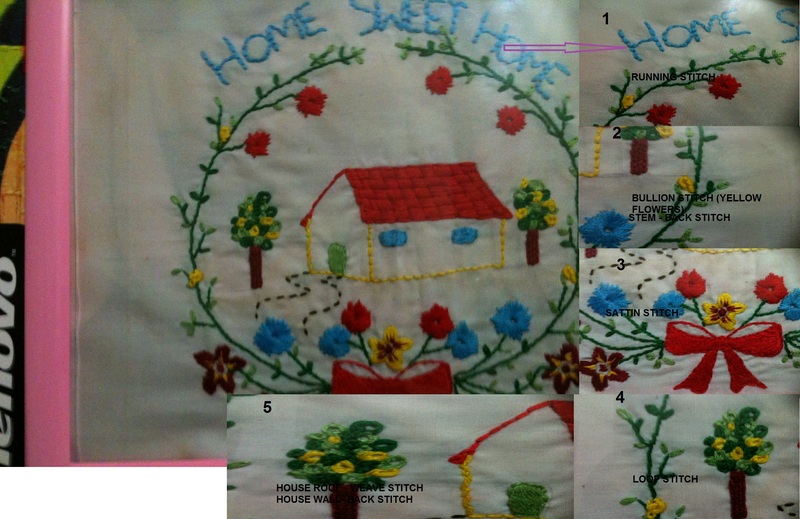 Back stitch – the stems and house wall are stitched using back-stitch. and the roof is stitched using weave stitch. layers of parallel stitches are done horizontally and then vertical stitches are done going through those horizontal stitches up and down alternately. I couldn’t find a pair of leggings to fit my 3-year-old so I thought of making one for her. 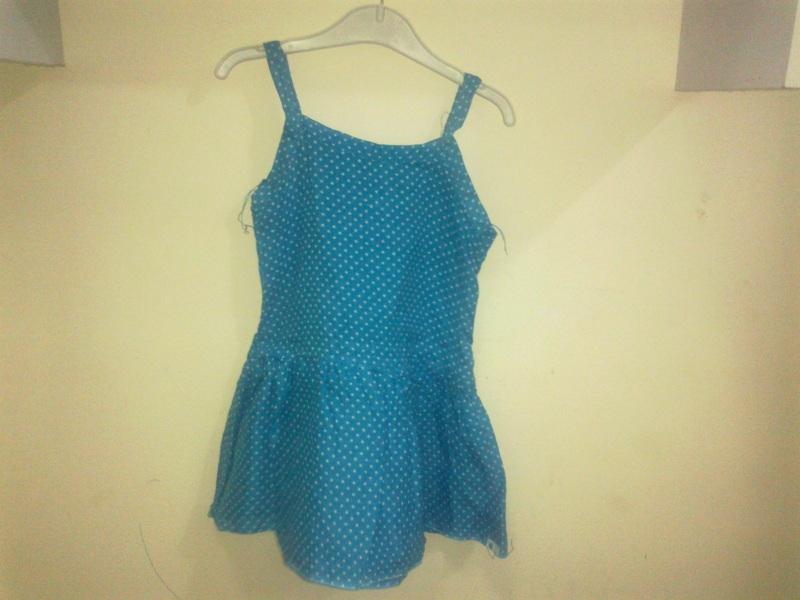 I made this from her dad’s old t-shirt. 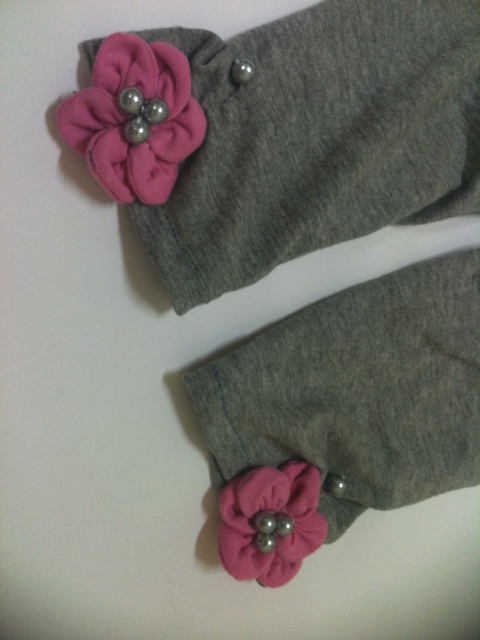 Make a pair of leggings like this to set your little girls look adorably chick. Sorry that I couldn’t take the step by step photos. next time I promise to add a tutorial. 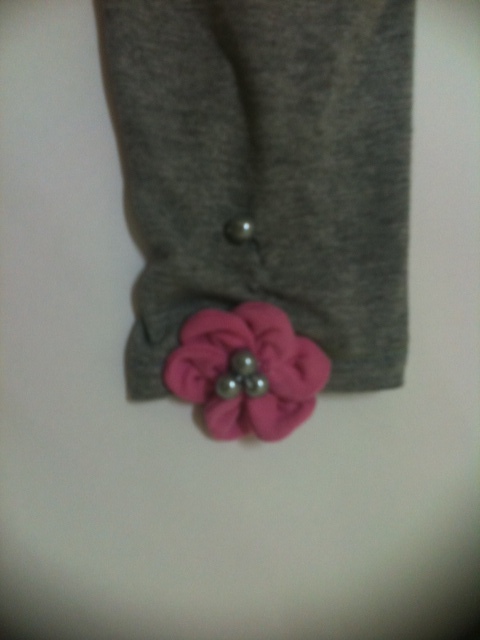 I also added a fabric knit flower to the pants.